Tim Armacost & Perico Sambeat- get their charts! Radio DirectX- Get your CD worldwide airplay! I've always been totally fascinated by Flamenco; the odd rhythms, the sonic timbre, the hot gypsy dancers, and of course the unique harmonies. Here is a cool book on Flamenco music theory. Ever wanted to find an obscure tune and had to dig through a pile of fake books before you found it? That will never happen again if you use the Master Fake Book Index. This handy PDF document has the location information for over 5000 Jazz tunes. You'll find out which book or books each tune is in along with the exact page number. Pretty cool, eh? music theory and analysis material, like six progressive reharms of Here's That Rainy Day. There are also some links to helpful freeware music programs and a few transcriptions, including a nice Rosenwinkle solo that includes analysis. 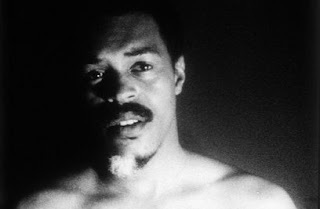 Last night I saw a great documentary about the great Avant-Garde tenor player Albert Ayler called My Name is Albert Ayler. The movie featured radio interviews of Albert talking about the evolution of his music, as well as recent interviews with Albert's family and friends. 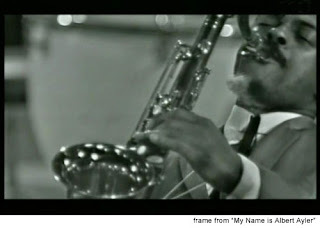 There is even some rare footage of Albert performing for Trane's memorial service. Albert had a rough time in his early career because no one understood what he was doing. He didn't even fully understand exactly what he was trying to do at first. He had absolute faith, against all odds, that people would appreciate his music in years to come. Albert even referred to himself as a prophet. It was inspirational to hear about how much negative criticism Ayler withstood without changing the musical direction he was taking. One of his ex-girlfriends said that Albert was the most stubborn person that she had ever met in her entire life. Once he had his opinion about something nothing anyone else said to the contrary mattered to him. Albert probably would have languished in obscurity had it not been for Trane telling Bob Thiele at Impulse that Ayler was a very important tenor player, and requesting for Ayler to play at his memorial service. A few months after Trane's passing Impulse signed Ayler. After all, they had just lost the artist that had practically built their company. It was a logical choice for Impulse. I was really struck by the power that Ayler played with, his sound was enormous and he bared his soul freely. Monk's Dream, who saw the flick with me, said that he thought that Ayler was the most bombastic player he had ever heard. I guess I didn't hear that part of Ayler's playing as much. I heard the beautiful sound and the intense emotion and commitment to the music. There was a beauty and spirituality present in Ayler's music, even when it seemed like only a true honkaphile (the sound, not the race) would be able to appreciate it. When Albert signed to Impulse the label didn't want his brother Donald, who Albert had convinced to come to NYC and learn the trumpet, along as an equal partner. This sent Donald into to a full mental breakdown and psychotic episode, from which he never fully recovered from. Albert tried to send his sick brother back to live with his mother in Cleveland, but his mother just sent him back to Albert. She insisted it was Albert's fault that his brother lost his marbles, and Albert should take care of him because of that. Around this time Albert decided that he finally wanted a wider audience and made a rock album. I was surprised that Albert would make such a seemingly drastic compromise after being such a purist for so many years before that point. Maybe the financial pressure of supporting his brother was the reason he did it, or maybe he knew that his contract with Impulse was not going to last if he didn't sell more records. Maybe it was the influence of his new girlfriend Mary Parks, who managed all his affairs and happened to be a Rock and Roll singer. Then is also the possibility that Ayler just wanted to go in that direction purely for artistic reasons. This last explanation is pretty hard for me to swallow, considering his attitude about being the prophet Avant-Garde Jazz. The Ausar Auset Society is a Pan-African religious organization that has been providing Afrocentric based spiritual training to the African-American community and to African descendants in the Diaspora, as well as a social vehicle that allows for the expression of the spiritual values learned, for over 30 years. Based on the indigenous traditional African cultures dating from the earliest documentable periods (Kamit [ancient Egypt], Indus Kush [pre-Aryan Vedantic India], Canaan [Palestine], and Kush [Ethiopia]), the classes taught revolve around the oldest religion known to mankind – the Ausarian religion of ancient Kamit. The Kamitic Tree of Life (Paut Neteru) forms the basis of the cosmogony (philosophy) of this ancient system. It reunites the traditions of the great Black founders of civilization, allowing us to weave their knowledge into a spiritually empowering way of life which aims at the awakening of the Ausar principle (the Divine Self) within each being. The classes taught are merely a means toward the end of organizing the society’s members into a community in which the ageless wisdom of ancient African cultures can be lived on an on-going daily basis. For a people to grow spiritually, and hence, come harmoniously and productively together, they must encounter the spiritualizing forces, not in the halls of education or between the pages of books, but at every turn of their day to day interaction with life and with each other. The Ausar Auset Society functions as an international body that teaches Kamitic philosophy (cosmology), meditation and ritual, oracle consultation, yoga, nutrition, herbalism, homeopathy, astrology, African history/culture, and other disciplines to students/initiates around the world for the purpose of developing a more complete, well-rounded spiritual individual. The Ausar Auset Society has based its government on the traditional African Kingship structure which has been officially recognized by the Asantehene (King of the Ashantis) of Ghana. This system is built around a hierarchally organized group of officials whose titles include King, Queen Mother, Priest(ess), Chief(tess) and Elder. One of the main differences between the traditional African Kingship and its European counterpart is that the King had to also qualify as the Chief Pr iest. This ensured that the leader of the people was a highly spiritually trained person of impeccable character. It is principally this criteria that enabled traditional African nations to maintain greater social stability than their western counterparts over a long period of time. 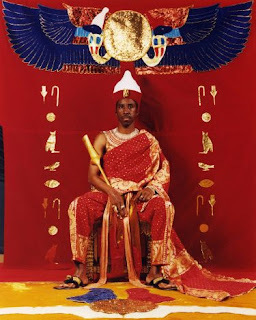 Each Ausar Auset Society Hesp (Nome/Region) is organized under the leadership of either a Paramount King, Paramount Queen Mother, or Chief(tess) that has his/her own hierarchy of officials and complete autonomy over their respective region. The Ausarian religious system, which is also the oldest (cir. 3000 BC - 300 AD), has at its essence, the establishment of an intimate relationship with God. It's fundamental tenet holds that God and Man (men and women) share the same divine attributes qualitatively (though not quantitatively). Thus unlike the Judeo-Christian system and other such religions in which man is essentially bound to the frailties of the flesh and is incapable of transcending his/her human limitations, the Ausarian religion is fundamentally based upon the individual's effort to use each and every life experience as a means of bringing his/her divine attributes to the forefront of existence as the "normal" way of addressing all issues in life. Hence, there is no "salvation" after a life of debauchery and mistreatment of others simply through forgiveness of one's sins when death approaches. One must live by Maat (Divine Law) while interacting on this physical plane, thus making one's body, and even one's life, a fit vessel through which God's divine attributes can be of service to all creation all over the world. Unlike the Western belief of a world full of chance and coincidence, Africans understand that the Divine intelligence is ever present and actively ordering the events of our lives. This Divine intelligence speaks to us through the pronouncements of the great Oracle of Tehuti (i.e., Metu Neter Oracle, I-Ching), enabling the devotee to ask a question of God and receive a clear answer before embarking on a potentially life altering decision. 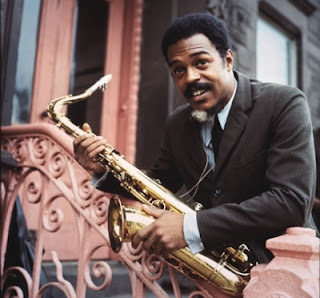 In 1970, at the age of 34 Albert Ayler was found floating in the East River. Was the pressure from his mother and brother too much to handle? Did Albert fall prey to the mental illness that ran in his family? Did he see that his career had peaked and was in decline? There are always a lot of these types questions to be answered when an important artist takes their own life at such a young age. Albert Ayler exerted a strong influence on the musical direction of John Coltrane, this much is certain. We can also thank Coltrane for the fact that Ayler's music lives on, even if his career was tragically cut short . One thing I noticed from some of the films of Ayler playing was that his technique was fantastic. Even when he was wailing like a baby pig in a tree chipper Albert's hands always stayed very close to the keys and looked totally relaxed. I think a lot of free music, even the stuff that sounds like the shrieking of demon babies, is played by musicians who are actually feeling emotionally serene, like Trane and Ayler. There is certainly a lot to be said for being able to let out all of your bottled up feelings through your music, it's cathartic to say the least. Directors need to know the strengths, weaknesses and experience levels of each section in their band. When choosing music for a group or creating arrangements, make your decisions based on the band you have, not the band you wish you have. It’s important to challenge students and encourage them to excel, but it’s also important to do this in a gradual way that builds skills, musicianship, and confidence. I often see high school groups that choose extremely difficult music, even though the level of musicianship and experience in thei r band isn’t extremely high. The process these bands go through to play the music often requires months of grueling rehearsals. In the end, the bands end up playing the pieces fairly well, but one needs to ask if the students might have been better served by a different approach. Is it better for students to have the experience of playing ten or twenty different pieces per year to gradually develop their musicianship and skills or is it better to spend time trying to master three extremely difficult pieces for performance? Every band director has the right to answer this question differently, but in my time with Herb, I learned that one of the best ways to respect students is to offer them consistent and gradual opportunities to succeed and improve on their own. Every student in a band should be given the respect and encouragement due any person. But students need to earn the respect of a band director for their individual musicianship through hard work and perseverance. Students should understand this critical difference. It’s possible to like and respect someone on a personal level, but they still may not work hard enough to be a positive contributor to a band. Criticism to groups should never be personal in nature and, in my experience, anger is never a constructive force in rehearsal settings. Directors should set high, but attainable, expectations for musicianship, behavior, and work ethic in groups. I’ve often seen band directors get angry, lecture, or even storm out when their expectations are not met or when individual disruptive students distract rehearsals. I’d suggest a different but simple approach: remove the problem player from the band. Set the tone for excellence early in the year by limiting distractions during rehearsals and base all decisions regarding students on an expectation for musicianship and professional behavior. Appreciate, respect and love the kids you work with, but demand professionalism and respect from them at all times. Also affiliated with JazzEd magazine is JazzPlayer.com, an online community designed to foster connections between like-minded jazz educators, musicians, students, and fans of the genre. Members can easily share their own background and personal information, making it easy to network with others on a professional or social level. This site is basically set up to be like an exclusively Jazz version MySpace or FaceBook. 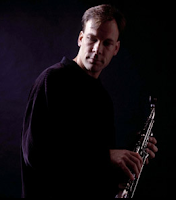 NYC Saxophonist Tim Armacost has done something that I think is a great way for composers to tunes out into the world, on his web site he's PDF files of his lead sheets. Tim sells his big band arrangements but all of his lead sheets are totally free to download. I think that this is a very hip and progressive way for artists to promote their music. If other players like the tunes they will be much more likely to buy the physical CD. It seems to me that in the near future as the CD is phased out whatever the new format is will contain a wider range of content; like video, pictures, PDF files of lead sheets, artist commentaries, ect. Diatic Records, the label that is about to release my new Latin Jazz CD, is making moves in this direction. Perico Sambeat, a Spanish saxophonist/composer who my Barcelona friends told me about has also posted free PDFs of his tunes on his site. Perico has done some great music with guys like Kurt Rosenwinkle, Mark Turner and Brad Meldau who are often over in Spain. His mixes Flamenco rhythms and Post-Bop harmonies to create a very exciting and compelling sound. Check out beautiful Perico's tune Como Lo Oyes on his MySpace page, this recording is so F*%KING BadASS! Hope everything's fine with you. Greetings to Portland!!! -Kuba Dolezal"
As I was looking for these books I ran across a site with a tons a great saxophone etude and technique books called Van Cott information Services. Christopher Woitach, a buddy of mine, told me about a company called Radio DirectX that helps you get radio airplay. Christopher used the service to promote several of his independently released Jazz Cd's, and with great results. For just $475 (even less for other styles of music) Radio DirectX will promote your Jazz CD for six months. This is just a fraction of what any decent music publicist would charge. "RadioDirectx is THE service delivering new music - your music - to the world. With more than 5000 member radio stations, music reviewers and club DJs looking for the newest releases in our digital stacks, we offer a one-of-a-kind service for both independent artists and labels to promote their music to audiences in markets around the world. The number one reason that Radio, Media & Club DJs around the world come to RadioDirectx for new music is that they can choose what they want, when they want. They love to login and browse our selection of quality releases at their leisure - from home or at the office. When they find a release they like and feel appropriate for their program or review, they can request to have a copy mailed to them. They also know that if it's listed on Radiodirectx - it will arrive." Christopher said that with Radio DirectX his Cd's got airplay all over the world, and he received a lot of of positive comments and reviews. 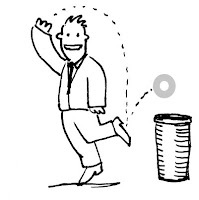 After all, it beats sending out a bunch of Cd's that will most likely just sit in a pile or get 'filed' in a circular 'filing cabinet' somewhere. Every time you send out a disk with Radio DirectX you know that the person requesting it has heard some of tracks already and liked it enough to want to play it. After all, how many of us are using boxes of unopened Cd's for bookshelves and coffee tables? Most of us have also given up the pipe dream that we'll make a lot of money selling our Cd's, but Cd's are still necessary in order to get your music and your name out into the world. For independent recording artists wanting radio exposure Radio DirectX sounds like a perfect solution to a difficult and overwhelming dilemma. I'm going to try them out. I'll let you know how it goes. Jazz.com has just launch a new website at www.jazz.com - It's a comprehensive jazz portal with thousands of pages of reviews, interviews, features, discographies and photos. A team of more than thirty writers, photographers and artists has been working for almost two years in preparation for this launch. 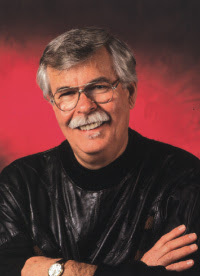 Under the direction of Ted Gioia, author of The History of Jazz and West Coast Jazz, this team has prepared more than 1,000 new reviews, a comprehensive jazz encyclopedia, and other exciting content of interest to the global jazz community. The largest collection of track reviews – focusing on individual songs, not entire CDs – available anywhere. This unique resource provides in-depth assessment, rankings and recording details for a comprehensive range of tracks, covering the full history of the music from its New Orleans origins to the present day. New reviews published every day. All reviews come with links for purchase or downloading. The Jazz.com Blog, updated daily and covering the latest and greatest happenings in the jazz world. Interviews with leading figures in the jazz world, including Billy Taylor, Manfred Eicher, Ron Carter, Maria Schneider, Stefon Harris and others. Visual Jazz galleries featuring the work of the greatest jazz photographers and artists, including Ray Avery, Herb Snitzer, Michael Symonds, Jos Knaepen and Suzanne Cerny. Lewis Porter’s Encyclopedia of Jazz Musicians with more than 1,400 entries on currently active jazz performers. The Song of the Day and A Jazz Classic Re-visited – published five days a week -- with direct links for downloading. This resource is the perfect way to keep up-to-date with the best in current jazz, as well as timeless classics from the music’s past. Also, jazz.com offers its visitors access to its bulletins boards, its directory of jazz products and services, and the ability to set up their own web page. All these services are absolutely free. Someone snatched that domain name up early in the game, eh? One of my closest friends here in Portland is a guy named Michael Conley who goes by the stagename Shoehorn. Shoe plays the sax and tap dances at the same time, seriously. As if the tap/sax thing wasn't enough, Shoe has invented a MIDI trigger tap board called the Tappercussion Mark VII. He has put midi triggers under different parts of a tap board and hooked them up to a drum machine. With it he can play bass lines, drum kits, and exotic instrument and sound effect samples. That's not even everything he does in his act, it's a full tap-sax-electronic- percussion-comedy experience. One thing is for sure, you can't accuse Shoe of not being creative. Shoe just directed, acted and produced a short comedy film about a saxophonist who experiences problems right before he is about to play an important gig. The film also features Renato Caranto, a heavyweight Portland tenor player, who comes to Shoe's rescue. The film is called Jump Start and you can see it on YouTube.